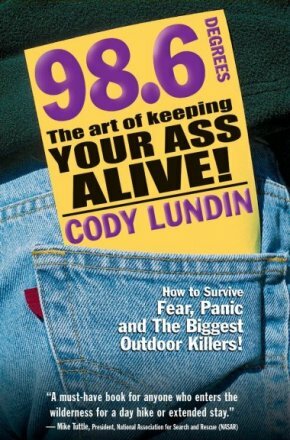 This book is a nonstop thrill ride, jam-packed with common sense modern survival skills for the backcountry, the backyard, or the highway. Author, Cody Lundin, founder and director of the Aboriginal Living Skills School, shares his own brand or wilderness wisdom based on the unique principle of keeping the body's core temperature at a lively 98.6 degrees. Cody stresses that a human can live without food for weeks, and without water for several days. But if the body's core temperature dips much below or above 98.6 degrees, a person can literally die within hours. Together with illustrations and creative writing, this book is not only informative, but entertaining as well.